The Facebook and Paypal last year had introduced the Paypal as payment support within the messenger app and today, both the company has rolled out the ability to use Paypal account to send or receive money within the messenger app. Paypal is also launching company’s first customer service bot which will be at users service handling questions and requests for help. 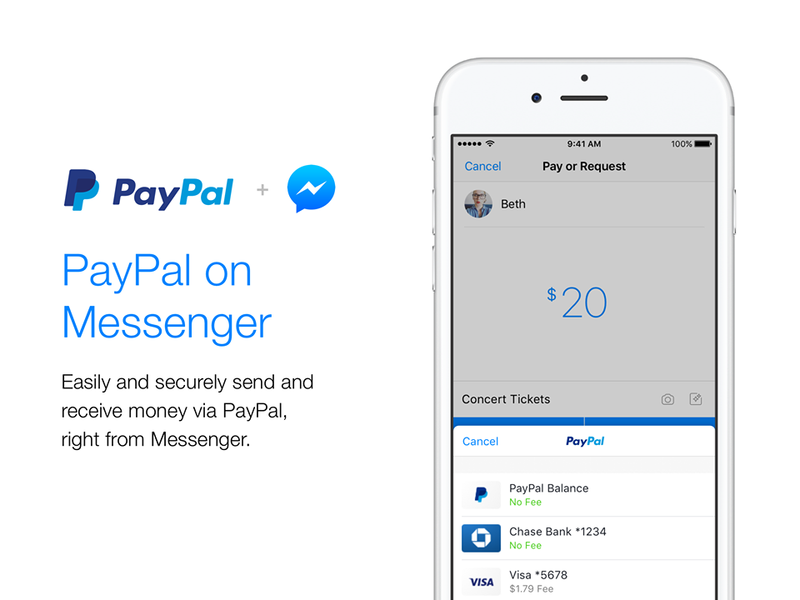 Users who have linked their Paypal account to messenger app can now split bills, send or request money, and the Paypal can even be set as the default for all transactions within the messenger app, says Paypal. The working of it is simple as well, you need to tap the ‘+’ icon from the messenger app and then hit the green ‘$, ‘ and in the next menu, you can enter the amount that you want to send or receive and include a short note attached. Once you enter the amount, just hit enter and you will be asked to connect your PayPal account or debit card. You can choose Paypal as your payment mode and proceed to pay. At this moment, the Paypal payments are only available in the USA, but Facebook says that it will roll out to other areas in the several weeks to come. Furthermore, Paypal says that till date over 2.5 million users have linked their Paypal accounts with Messenger and with today’s new update, the number is expected to grow further. PayPal also has a customer service bot, so you can easily receive payment and PayPal account support, directly in Messenger. To get started, search for PayPal or message: m.me/PayPal.